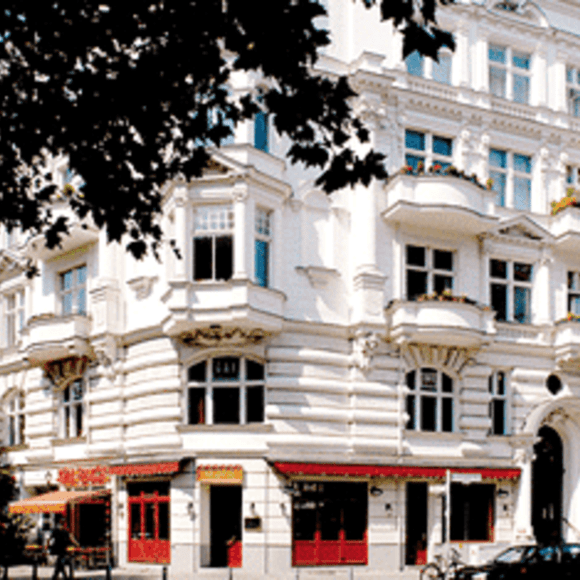 A five-room men-only hostel perched smack in the middle of Schöneberg's gay catwalk, the Motzstraße (though the official address is now the Kalckreuthstraße). Owned and operated by the people behind Tom's Bar and Tom's Hotel, the latter of which it shares a reception. I stayed in this place twice, once in July and once in September 2014. The first time I booked, I stayed at the 6-bed room, the second time I stayed in the 4-bed room. The rooms are nice, the beds comfy, and the facilities are really ok, but the most fantastic part are the guests and the shower. I am a muscular, hairy 35 year old, and most of the other guests were in their twenties. There were really all types, and I guess I was just lucky to meet so many great guys. When I arrived in July and entered the room, two athletic guys were just in their bunk. They guy from the hostel explained eveyrthing to me as if there was nothing out of the ordinary. After we had come back from the tour and went to make my bed, the guys were still at it. They watched me change, and asked me to come over. What an arrival! This was my expierence in July, and September was no worse. So I can totally recommend this place to anyone. Should be good looking though, as the few bad looking guys in there really didn't get any. The room was quite satisfactory and the price was very reasonable. Very helpful and friendly staff.